One of the biggest national races this November is the 8th congressional District in Wisconsin. Far right Freedom Caucus member Reid Ribble, has decided not to run for re-election so it is a wide open race. The Republican nominee, who won a primary handily, is Mike Gallagher. The New York born Gallagher joined the Marines after college and has also earned his Doctorate. Very impressive individual, until(as Capper says, there is more, there is always more), and take a quick peak at his resume. There is a huge gaping blemish on it. (reported by Politico's Darren Samuelsohn on Feb. 18, 2015; start early March)Professional staff member at the Senate Foreign Relations Committee from Aug. 2013. Captain in the U.S. Marines Corps, June 2006-Aug. 2013. M.A. in government (2013) and M.A. in security studies (2012) from Georgetown University; M.S. in strategic intelligence from National Intelligence University (2010); B.A. in international relations and affairs from Princeton University, 2006. I know it was short moment in time, but a quick refresher, Scott Walker has been running for President his whole life and when he "officially" announced a run for President, he ended up officially running for President for approximately 3 months, where he spent over $7,000,000 and ended up with a whopping 0% approval from GOP primary voters. A big part of his epic crash and burn in the Presidential primary was his foreign policy stances. The first was when asked about Syria, let everyone know he had no problem sending troops in. Of course not his kids, but yours. Most of us have seen that play out poorly before so we were left scratching our heads that Scott Walker has not learned any lessons from the past. The second was probably the most ridiculous thing said, in a season of ridiculousness, that made even the most die hard supporters surprised. Donald Trump was gaining traction by telling everyone as President, he would build a wall on the Mexican border. Ever the opportunist, Scott Walker was going to out wall The Donald and said he would be willing to wall off Mexico and (You can not make this stuff up) Canada. So the candidate, who was probably the biggest foreign policy failure and quite possibly the most ridiculous foreign policy proposal in the history of our great country, has sent his foreign policy adviser to run for Congress. Bizarro land! Luckily, the people of the 8th Congressional District have a sound choice in Tom Nelson. 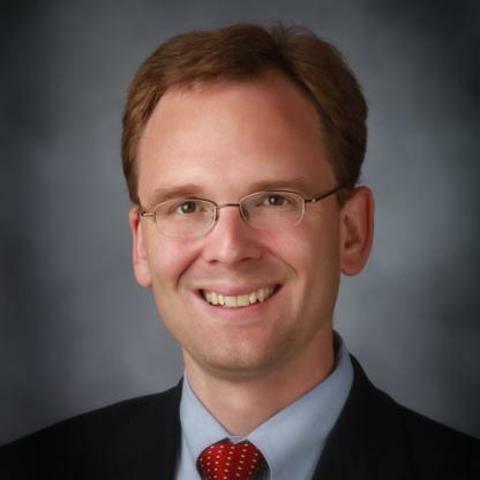 Nelson is former majority leader in Madison, and current Outagamie County Executive. Nelson is running fr Congress trying to make sure the people of the 8th Congressional District get actual representation for a change. Now is the time to help Mr. Nelson out. Head to his Facebook page and his website and send him a couple dollars or go volunteer some time knocking doors for him. Congressman Nelson has a very nice ring to it! He was New York born? He has been selling himself as a local Green Bay boy! Actually yes did you click the link provided??? Anything else? The previously attached link was the Mike who you seem to think is the Mike Gallagher running for 8th Congressional District of Wisconsin. Know the candidates and the facts. "Mike is a 7th-generation Wisconsin native, born at St. Mary's hospital to a loving family who taught him the value of hard work, community, faith in God, and an undying love for the Green Bay Packers"